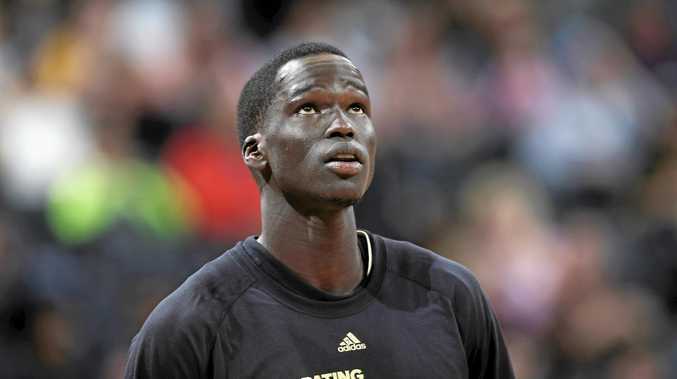 BASKETBALL: Thon Maker entered the NBA at 93kg, but his incredible diet is seeing him pack on weight fast. The Australian rookie has added 4.5kg of muscle since joining the Milwaukee Bucks as the 10th overall pick in last year's draft. Maker's caloric intake has been revealed to be 6000 to 7000 a day - more than double what the average male consumes. Maker's meals are prepared by the Bucks' chef and dietitian Shawn Zell, with the 7'1 big-man's day starting with a four-egg omelet, oatmeal, and a protein bar, plus white potatoes, hash browns, or sweet potatoes. Just a few hours later, before practice, Maker downs another protein bar and a smoothie, before he sits down for a lunch - a big serving of pasta and two fistful servings of meat. Dinner often varies for the native of what is now South Sudan, but simply comprises of 'some protein, some starch, and some veggies', with Maker eating three to four servings of it. The massive caloric intake doesn't affect Maker as much as one would assume, because of what Zell describes as 'one of the fastest metabolisms I've ever seen'. 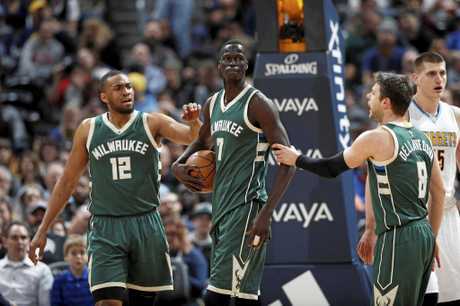 According to the Bucks' director of performance Troy Flanagan, who was previously based in Australia, Maker has the highest aerobic capacity of any player on his team. "Which is a really good sign,” Troy Flanagan said. The goal for the Bucks is to increases Maker's weigh to the point where he reaches the 230-240 lbs range and, when he does, his teammates have incredibly high hopes for his development and the kind of player he could turn into. From 12-year veteran Jason Terry to the league's newest superstar, Giannis Antetokounmpo, the expectations for Maker are sky high. "When I look at Mr. Maker, the first impression you get is: This kid resembles Kevin Garnett a little bit, just in his stature and build,” Terry told the magazine. While everyone, from his Bucks teammates, to coaches, to the front office, see Maker's endless potential, it's the big-man, himself, who expresses the most confidence. "I'm going to be an All-Star,” Maker said.